Narrative: Prohibited outdoor burning of debris. 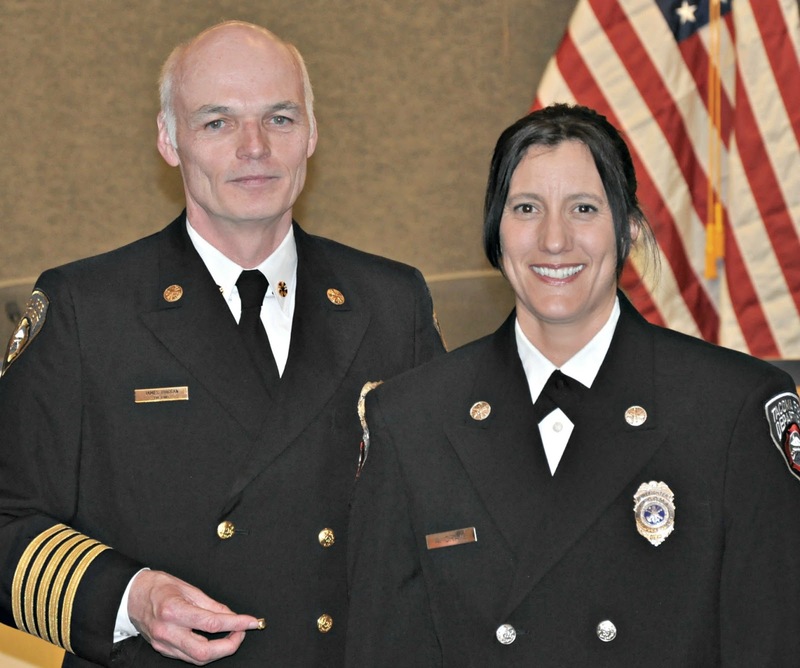 The Tacoma Fire Department presented a Medal of Valor Award to Firefighter Annie Craig for rescuing a citizen in a near-drowning incident in Commencement Bay on February 15, 2013. The department’s highest award, the Medal of Valor, is given to firefighters who demonstrate acts of bravery and heroism in hazardous situations. After arriving at Owen Beach in Point Defiance Park for an unrelated 911 call, Ladder 3 firefighters spotted John Bronson swimming in the water near an overturned canoe. Rebecca Thayer-Blunt, Bronson’s step-daughter, swam out to help Bronson get the canoe back to the beach, but the two were unable to do so by themselves. As the Ladder 3 crew assembled equipment to assist from shore, Bronson began struggling to keep his head above water, submerging several times. 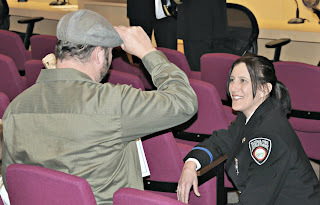 Firefighter Annie Craig entered the water and swam to Bronson. With Thayer-Blunt’s assistance, Craig towed Bronson about 40 feet back to shore, where Bronson was medically evaluated, warmed and then released at the scene. 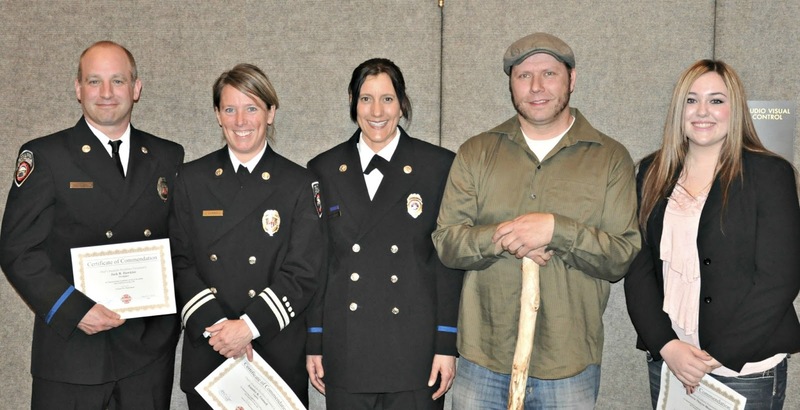 Certificates of Commendation were also presented to Captain Jennifer Gunnel, Firefighter Jack Hawkins, and Rebecca Thayer-Blunt for their role in the rescue efforts. Address: E. 61 St. and E. "Q" St. Narrative: Prohibited burn of yard waste. Address: 4721 N. 49th St. Narrative: Crews extinguished a prohibited outdoor burn. Address: 6th Ave and St. Helens St. Narrative: Crews extinguished a fire on the post of a stop sign. The cause of the fire was undetermined. Narrative: Crews extinguished a fire that had started at the base of a cedar tree in some shrubbery. Dried cedar needles fueled the fire that created 6-8 foot flames in the foliage. The fire was contained to the area of origin, and firefighters were unable to determine what started it. Address: 718 S. 52nd St. Narrative: Prohibited outdoor burning of construction debris. Address: S. 7th St./S. "I" St. Narrative: Prohibited burning of scrap wood and branches. Address: 2926 S. Warner St. Narrative: A resident attempted to ignite charcoal briquettes with gasoline, resulting in a flashover. Crews checked to ensure the resident had extinguished the fire that engulfed the plastic gas container and that it hadn't caught anything else on fire. Narrative: Crews were called to a reported fire in a residential daycare. The first arriving engine company found light smoke in the house. Upon further investigation it was determined that the oil furnace had malfunctioned and caused smoke to come out of the floor vents - there was no fire. Address: 920 S. 9th St. 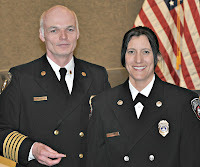 Narrative: Firefighters extinguished a fire in an electrical outlet. Crews turned off the breakers, put out the fire and removed the outlet box from the wall. There was no fire extension. Address: 2415 S. 35th St. Narrative: Firefighter responded to a reported machinery fire. Upon investigation, they found a belt on a heating unit was smoking, but there was no fire. Address: 1202 N. Pearl St. Narrative: Firefighter responded to burnt food in a microwave oven. Crews confirmed that the fire was out, removed smoke and determined that the fire was contained to the appliance.